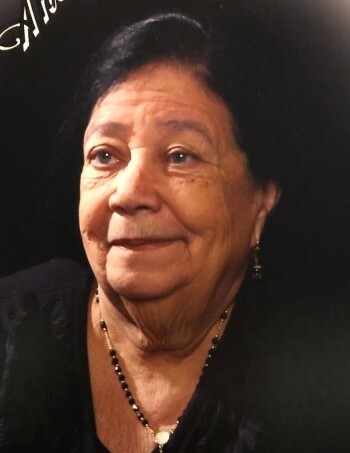 Ms. Natividad Vasquez, of Lawrence, age 83, died on Wednesday, January 23, 2019 at the Lawrence General Hospital, surrounded by her loving family. Born in the Dominican Republic, she was the daughter of the late Felipe Vasquez and Efigenia Gonzalez. Relatives & friends are invited to attend visiting hours at the Diaz-Healy Funeral Home, 107 South Broadway, Lawrence on Friday, January 25, 2019 from 5 - 8 p.m. Burial will take place at Cementerio Nuevo in San Francisco de Macoris, Dominican Republic.